ProClean was started because the founder of ProClean had roommates who paid someone to come and do their white glove for them. After looking into it further, she realized that there wasn’t a company in Rexburg who worked directly with and for students to help them during the busiest and most stressful time of their semesters. She thought it would be a great way to offer jobs to our community of students while providing them with a beneficial and handy service. Alas, ProClean Services was born. As time has passed, we wanted to involve and allow our services to benefit the entire community, so we have expanded our services to those outside of BYU-Idaho's approved housing. It is our vision to create a place where students and members of the community can work and offer a service that many love to use and can rely on! We read the BYU-Idaho bulletin board regularly and see postings all the time for students desperate for work. We want to help that problem in our community. Our cleaners are independent, hard workers. So by supporting ProClean, you are supporting the many people in this community who need work. For BYU-I approved housing, we also want to make sure we still honor the Student Living principles that have been set in place by the university we support by holding students accountable for our work with the “ProClean Guarantee”. This is an important piece of paper that tells us our work is done, and that our clients are pleased. If the client (student) doesn’t check our work and they don’t pass their clean checks because of it, they are still held responsible. That is how we share the responsibility with them and still give them the agency to pay for a cleaning service. This also applies to anyone who uses our service. Most of our workers are hard working students in the community, we provide them with training and they provide you with help! It's that simple! You want someone you can trust and works hard to make sure you're happy. We do that. Let us do the dirty work. Q: Do you guarantee your work for white gloves? What happens if I get charged? We have the "ProClean Guarantee" that you will sign when we are finished cleaning your apartment that says you are happy with our work. Once you have given us your stamp of approval, ProClean is free of responsibility for any potential charges. 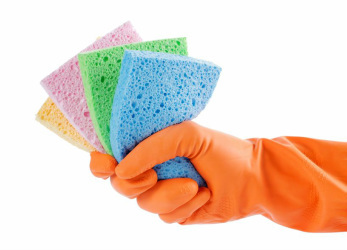 Please keep in mind that although our cleaners have experience, each White Glove Specialist is different and typically do not have years and years of experience under their belt. The ProClean Guarantee is our way to protect all parties involved and if it is signed, and you then have a complaint, it is unlikely we will be able to honor any refund requests or pay for any cleaning charges. Q: I am an apartment manager. Do you offer services for in between semesters? Do you clean common areas? Married housing? We clean just about everything. Please email us at Manager@procleanrexburg.com and we will contact you asap! Our services are listed on our "Services and Pricing" page as well. Q: Do I need to supply supplies for the cleaners when they come? If you have signed up for clean checks, white glove or move out cleaning - no. If you have hired our housekeeping services, it is on a case by case basis. Q: What do I do if I'm unhappy with the white glove cleaning? First off, DO NOT SIGN the ProClean Guarantee unless you are satisfied. The whole purpose of this paper is to make sure you are satisfied in the allotted time frame. If you sign it, and then notify us you were unhappy, it leaves our hands tied. Our White Glove Specialists know the importance of this paper. So, if you are not happy, do not sign it and call us immediately! It is likely that our White Glove Specialist has other appointments to get to -- so don't be offended if they have to go. However, call our Customer Service line and we will send over someone to take care of the problem as soon as possible. Q: Do you return phone messages? Yes. YOU are our business and we make every effort to return your call the same day. Sometimes email works faster but we will still return your calls. Please leave a detailed message if we do not answer and we will call you back ASAP.